Why are anthers where they are? 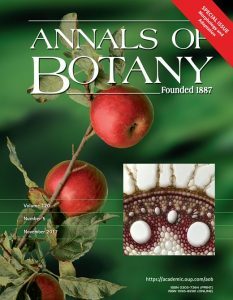 A new study finds there might be more to anthers than purely functional tools. Botanists have long had an interest of the position of anthers in a flower. The anthers are part of the male organs, and they produce the pollen in the flower. Anthers produce the pollen and sit at the end of filaments as part of the stamen. Their position is important as these need to hit visitors to the flower in order to transport the pollen on to the next flower. But they are often very prominent in the flower. Could there more to anther position than purely functional features. 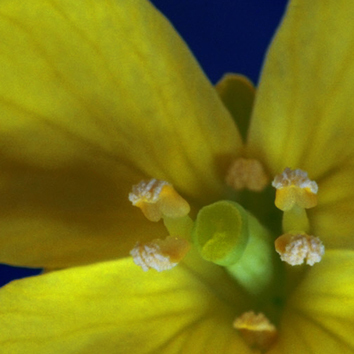 Sapir and colleagues have examined the flowers of the wild radish, Raphanus raphanistrum, to see if anther position can also be used as visual attraction for pollinators. 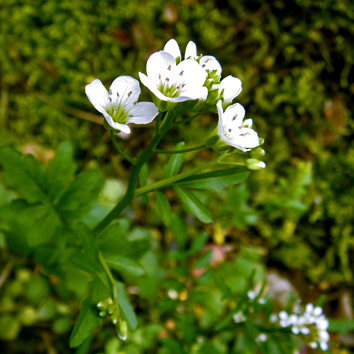 Normally, wild radish is an annual or short-lived perennial native to the Mediterranean region. 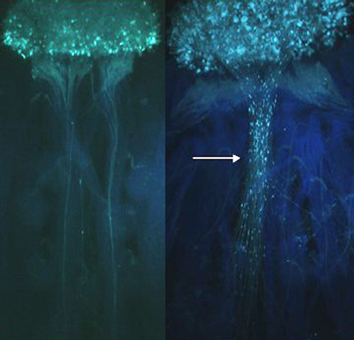 For this experiment, Sapir’s team artificially selected plants to breed and test. Some were bred for more exposed anthers. 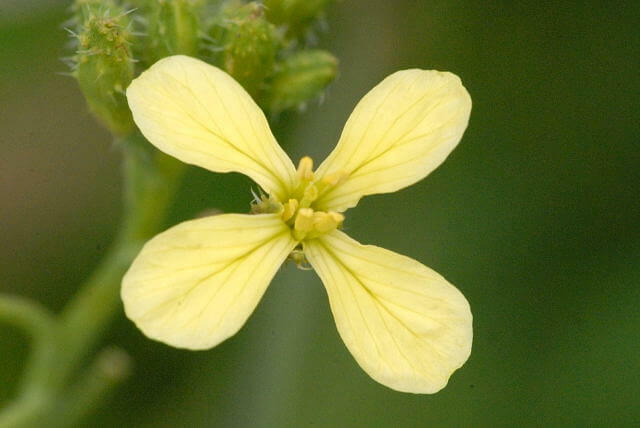 Some were bred for the opposite feature, to hide the anthers. They also used a couple of control variants. After five or six generations of selections, the various plants were arranged into arrays, so that scientists could examine pollinator visits. 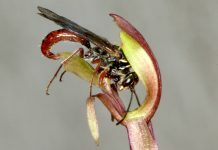 What they found was that the more prominent anthers attracted pollinators. Sapir et al. argue that this is a signal of a reward for pollen foragers. 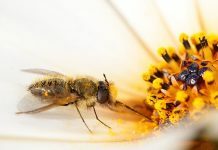 They don’t rule out that there could be other, unmeasured, traits that are attracting pollinators, and that anther exsertion is correlated with these traits. However, they are able to rule out quite a few possibilities, like floral size. For this reason Sapir et al. 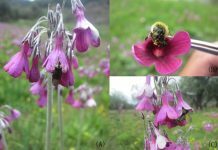 suggest that anther position relative to corolla has an additional adaptive role as an advertisement, beyond pollination efficiency, and highlights the multiple ecological functions of floral traits in plant-pollinator interactions.